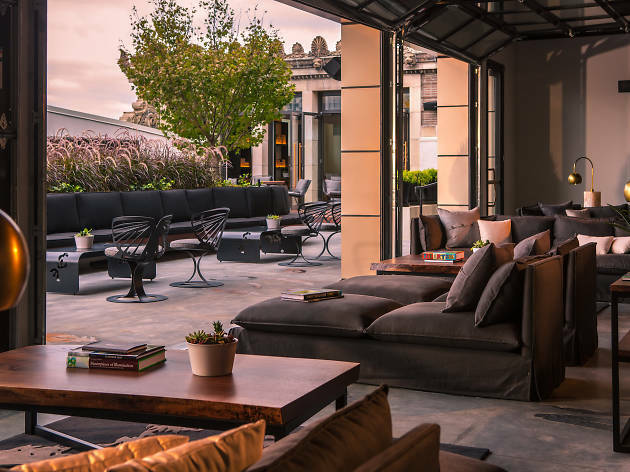 One of the more spacious rooftop lounges in the city, Stratus keeps it swanky while not feeling stiff, with plenty of flowers and greenery to keep you feeling less concrete-claustrophobic while you take in glorious views of Chestnut Street in Old City. The menu boasts a diverse lineup of lighter wines, with an even bigger variety of floral- and citrus-inspired cocktails. If you’re feeling indulgent, pair any of the above with a Boozy Chocolate Truffle, a decadent dessert morsel filled with vodka, bourbon and mezcal. 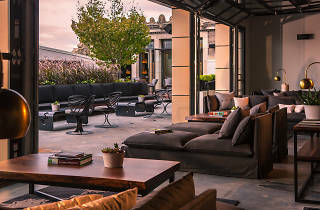 Leave your baseball caps and flip flops at home, though: Stratus enforces a casual yet upscale dress code.